SJ9062 6219. The ancient monument called ‘The Bridestones’ chambered tomb is located on a sandstone ridge 800 feet above sea-level 1 mile to the south-east of Timbersbrook and 3 miles east of Congleton on the Cheshire-Staffordshire border. It is referred to as a burial chamber, chambered tomb and long cairn that dates back to the middle Neolithic period 2,500-3,000 BC. This very much damaged monument consists of a forecourt (semi-circular) in layout and two entrance stones 8-9 feet high that divide the main chamber and another with a hole called a “porthole stone”. The whole complex is now just over 100 metres in length with the cairn 11 metres in width. Originally two more cairns stood some 50 metres away but these have long since gone due probably to farming. Over the last 200 years the monument has suffered from robbery of the stones. In the 1760s some of the stones were used for the nearby road (Dial Lane), while other stones were used in the building of Bridestones farm; other stones from the monument have ended up in Tunstall Park, Stoke-on-Trent. Sadly, stones that formed the forecourt have been taken away leaving a much smaller monument. Originally an earthen mound upto 300 feet (90m) in length running north to east covered the tomb making for a very grand burial mound. Today only one main chamber 6 metres in length remains – originally there would have been three chambers or compartments. There is a legend that says the name ‘Bridestones’ came about because a Viking chieftain and his bride to be were buried here. But the name probably comes from ‘Briddes Stones’ or even ‘Brigante Stones’ from the ancient British tribe who inhabited the area in the 1st century AD. Today the monument is protected by fencing – with trees and shrubbery making the monument more secluded. 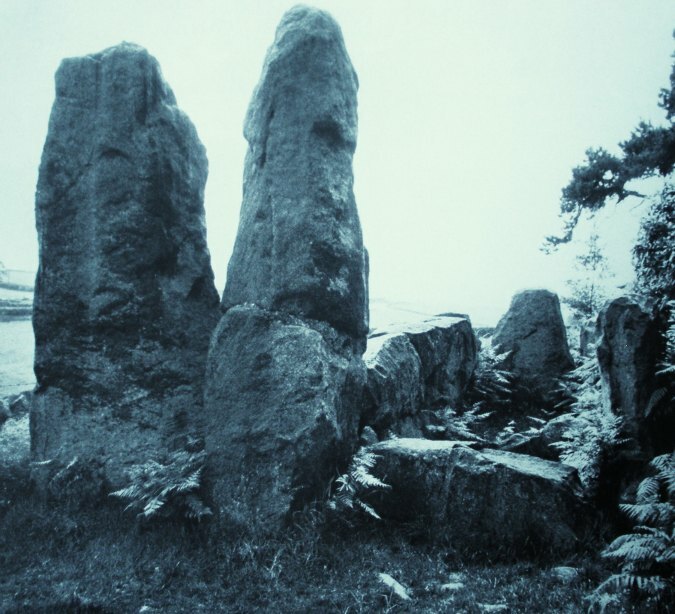 Categories: Burial Chambers, The Bridestones | Tags: The Bridestones at Timbersbrook in Cheshire | Permalink.